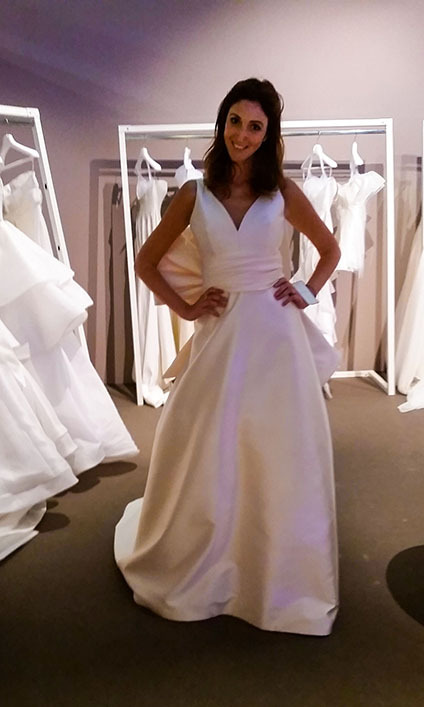 In our times and in the past, young girls have all dreamt of a wonderful white dress to wear as they walk to the altar and say the fateful “I do”. 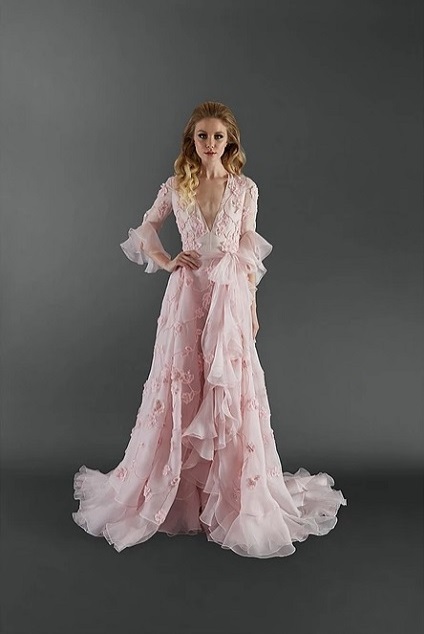 For women of all ages who have now found the Prince they are going to exchange vows of eternal love with, "Fairytale Weddings" come up with a package of ideas and suggestions for choosing the dress that will take you up to “your fairytale wedding day”. 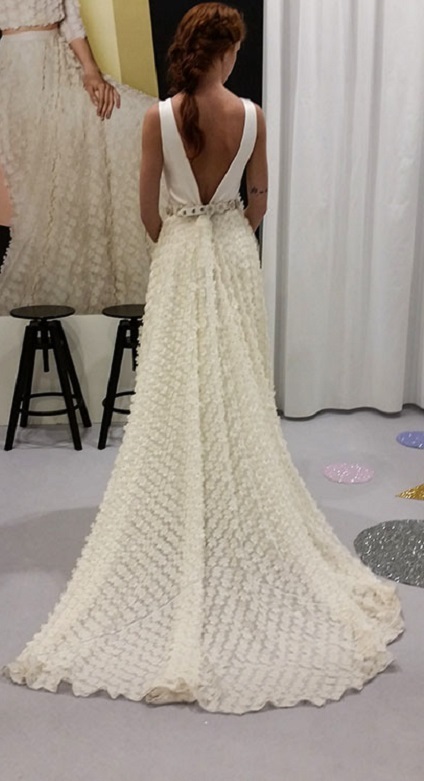 "Fairytale Weddings" considers every single bride “unique” – this is why we couldn’t fail to have a “Bridal Style” specialist as part of our professional staff, whose job it is to help every bride-to-be to discover her dream dress, the one and only dress that can set off her particular personality, style and femininity. 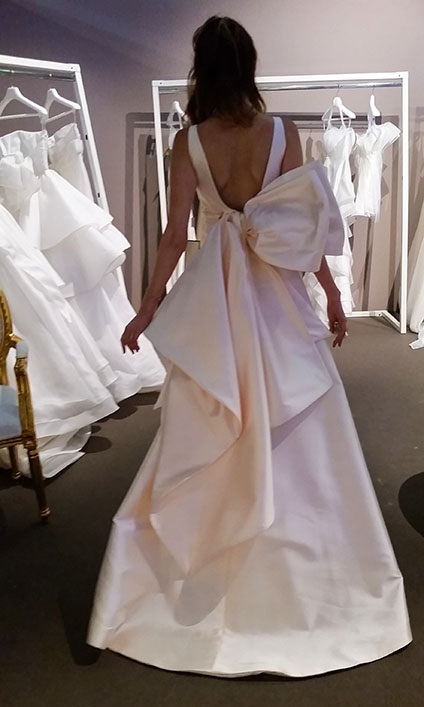 We’re confident that for every bride, the memory of how she felt when wearing it will stay with her forever, and she’ll cherish it as the most important dress of her life. Dear brides, our expert in “Bridal Style” has some hints for choosing the wedding gown of your dreams. 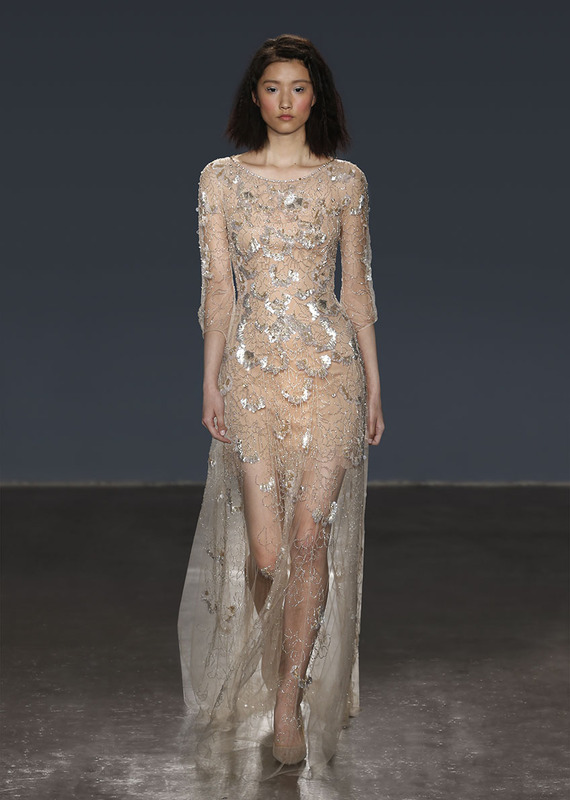 It’s important to respect your personality, your look and your style, as it’s our job to always make you feel at ease while making you feel unique and a true fairytale Princess. We want to make the most of your strengths, your sensuality and your charm, with elegance and naturalness as our watchwords. We’ll make sure you’re in perfect harmony with the environment that surrounds you, since the “fairytale Princess for the day” will be you. That day you’ll show off your innate class and in the eyes of all your guests will represent the essence of love and joy. Our expert in “Bridal Style” will assist you in dreaming up a wedding dress suitable for the desired location – for example, if you decide to get married in a beautiful castle, she’ll recommend a dress with a “Princess” or “bustier” cut emphasizing the bust and the waist, then opening into awe-inspiring skirts, wide and flowing yet at the same time light as the air. In a lakeside villa or a glamorous hotel, she may suggest a sheath dress, a timelessly classic suit that follows the lines of the body and can be made with any fabric, so you can choose “your” style and emphasis, yet maintain a pure and simple elegance beyond fashion. For a garden wedding or under a wedding arch on the seafront, the “petticoat” or “slip” style is ideal. Made from soft, lightweight fabrics with flowing lines that follow those of the body, these gowns ripple as you move, lending you added grace and elegance. A charming, elegant and sensual “mermaid” to climb the stairway of a historical palace, a gown that emphasize the curves of your body and flares out just above the knee to end in a stunning train. For a small luxury hotel in the wild, you will be recommended an “Imperial-style” dress with a high waistline that opens into a soft, layered skirt. 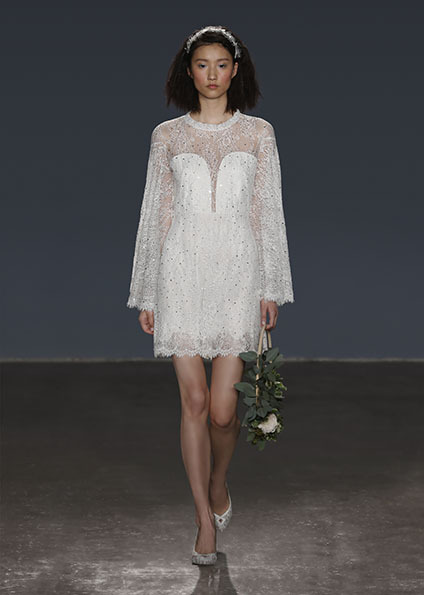 For a less formal wedding, or a younger bride, shorter models may be the best option, as long as they are made from fine fabrics and in an elegant style to enhance your natural feminine radiance. "Fairytale Weddings" will always make every bride-to-be feel gorgeous, we’ll take painstaking care over every subtle detail and we’ll make sure everything is perfect that day, from the atmosphere of joy and happiness everyone will bathe in, to the bride’s and groom’s outfits, the ceremony and the reception, up to every precious moment of your stay at the location you have chosen. “You at the heart”, dear friends, is the basic philosophy that made us embark on this journey toward fulfilling the dreams of the friends we have already met and those we’ll meet along the way. In modern times, the bridal veil has become used as a beautiful frame that must blend with and complement the wedding dress. 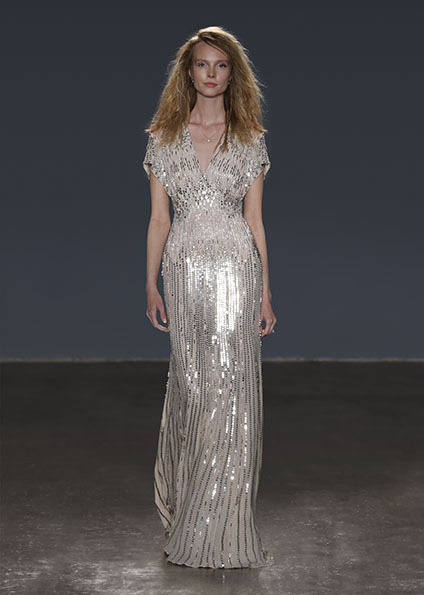 It adds a touch of classic romance, mystique and sophistication to the bride who decides to wear one. It has origins that date back to ancient Romans, but its meaning has changed over the course of history. Our team of stylists suggest that, whichever veil you choose, you should go for fine fabrics such as lace, silk organza or silk. These can be combined skillfully, creating enchanting effects – just think of as a silk-organdy veil edged with a thin border of fine lace. 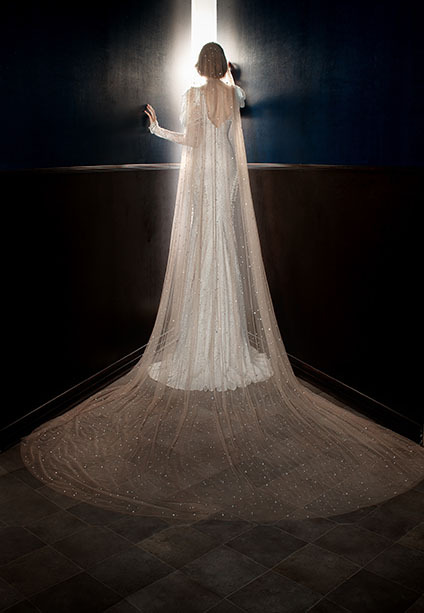 The Princess of our fairytale may wear a long “Cathedral” veil, which is the most formal and also the most spectacular. 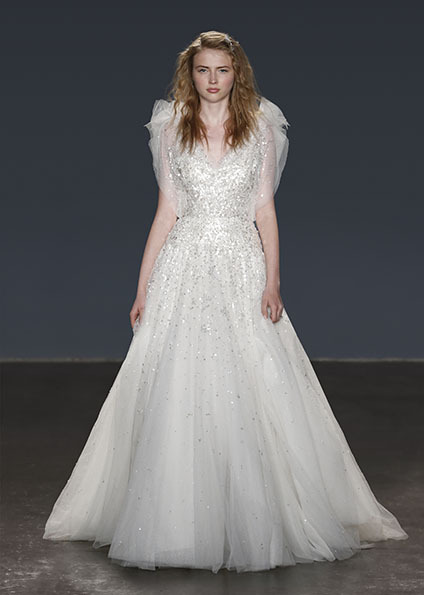 It flows romantically behind the bride, and goes perfectly with a Princess-style wedding dress. 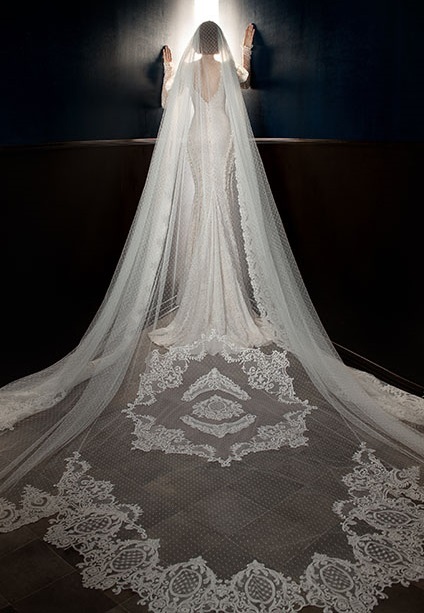 Other options are the “Chapel” veil, or an equally elegant shoulder-length veil for a contemporary bride who wants to add an element of tradition to her contemporary style: with this veil, tulle, silk or lace can be used and the more layers there are, the more dramatic the effect. Our expert in “Bridal Style” can also guide you through the maze of newer trends. 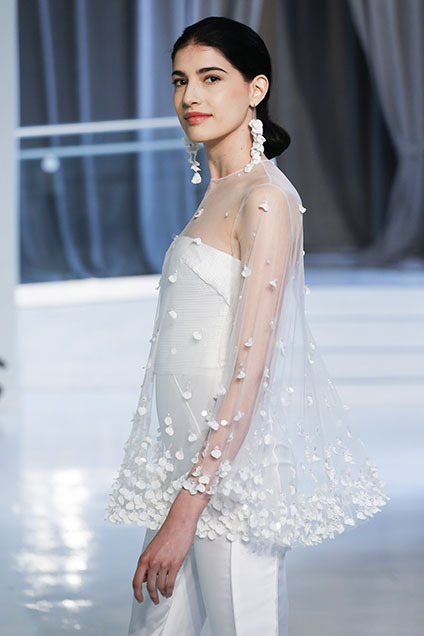 If you are a mature bride you can try the “Juliet cap” or the “birdcage” veil, or if you feel like a modern bohemian bride, the “halo” veil is for you – it’s attached invisibly to your hairstyle and looks like it’s floating on top of your head. Whatever your veil is, whether it’s in precious lace, edged lace tulle or organza, whether it’s studded with pearls or secured with a tiara, there is just one essential rule: it should be perfectly in harmony with the wedding dress and worn by the bride with grace and naturalness. Historically speaking, the first wedding veil is documented in ancient Roman times: it was worn by the bride as a symbol of good luck and during the ceremony was also placed on the head of the groom. This act had a profound mystical symbolism, representing protection for the couple. This veil was called “flemmum” because it was in all the shades of fire, from red to yellow. Still in Roman times, there was a custom of wearing a wreath of orange blossom and myrtle over the veil, as proof of the virginity the bride had preserved for her future husband. In the Middle Ages it was a common superstition to think that a veil attached to the garment with gold thread and pearls would protect the bride from evil spirits. A separate custom has to do with the arranged marriages in Europe that were celebrated until around the year 1500. In these the function of the veil was to cover the face of the bride until the end of the ceremony – only at that moment could the groom lift the veil and see his wife’s face, to avoid second thoughts at the last moment in the event of the bride not pleasing the husband chosen for her. With the splendor of the Renaissance period, marriages were transformed into real society events in which the veil became a prominent accessory showing the social status of the bride. In that period, veils were made with precious fabrics and became longer and longer in order to make the bride’s entrance into majestic abbeys and imperial palaces as impressive as possible. To complete her wedding dress with distinction and make it even more exclusive and beautiful, the Princess of "Fairytale Weddings" will need our staff of stylists to suggest some classy accessories and headpieces in addition to the traditional and timeless bridal veil. Crystal headdresses, sculptural hairpins, jeweled hair slides, headbands, decorative bobby pins, gold, pearls, crystals, even a tiara can all be used as stand-alone hairdressing accessories, or as useful and valuable complements to hold the wedding veil in place. Either way, you will experience the thrill of being the most beautiful creature to cross the threshold of a stately manor or an ancient abbey. On “her” day, with elegance, class and aloofness, the Princess of our fairytale will wear gorgeous accessories such as vintage pins, small diamonds or crystals to nestle in the hair, a birdcage wedding veil with a rhinestone comb, classic or more original fascinators, tulle headwraps adorned with glass beads or pearls inspired by the tradition of the fabulous ‘20s, or hair adorned with fresh flowers and buds, for a bride with a refined “bohemian” style. Our “Bridal Style” expert is naturally also available for our groom-to-be; she generally recommends wearing what the British call a “morning suit” for a morning or afternoon wedding. According to official etiquette, this type of suit should be worn for a solemn ceremony in the morning or at any time before nightfall. If you choose a morning suit, remember that the groom’s father and the groomsmen should dress in the same way. The suit should be made from wool and be a dark gray or black; the matching plain jacket, single-breasted and with one or two buttons, is short at the front and has one or two tails at the back, while the pants can be striped or checked and should be worn with braces. Turn-ups are a no-no. White is the only color allowed for the shirt, which should be in fine cotton and have a turndown collar, cufflinks and French cuffs protruding just less than an inch from the jacket sleeve. A tailored vest (either in baize or satin, depending on the season) may be single-breasted or double-breasted. The most formal color is pearl gray, but in more informal situations the vest can be in colored silk. The morning suit should be worn with a colored silk Ascot tie in gray, ivory or jacquard weave; the socks must be long and dark and the shoes black Oxfords. A top hat, suede gloves and a cane are accessories to be carried with morning dress, but they’re not meant to be worn. The half morning suit is considered more informal than the jacket without tails, but our staff have found that instead of the half suit, most grooms prefer the elegant full version.